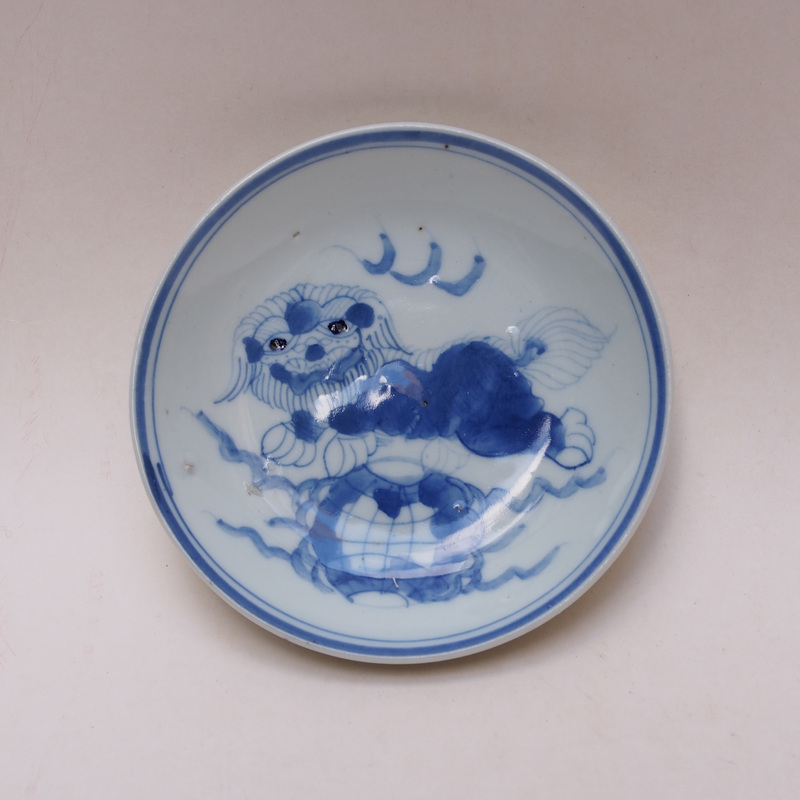 To celebrate the victory of Germany winning the World Cup, here a plate with the lion playing with a xiu qiu. 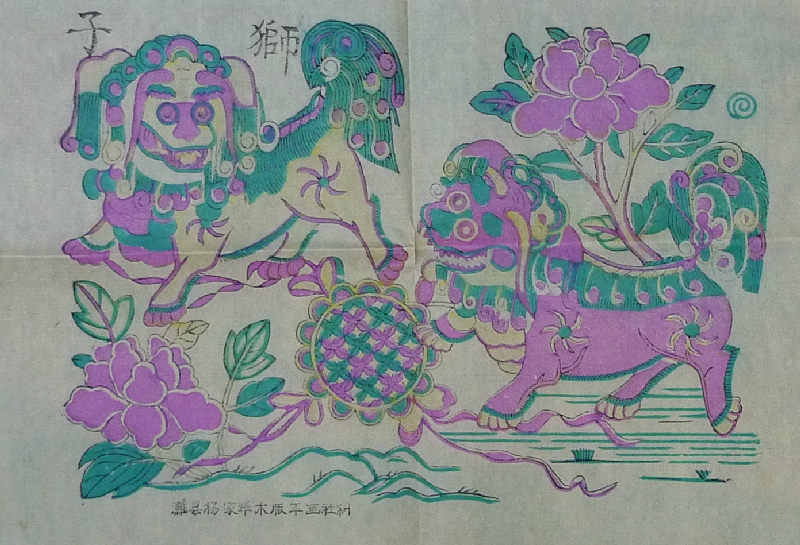 The composition of the lion playing with the ball is a traditional blessing pattern. 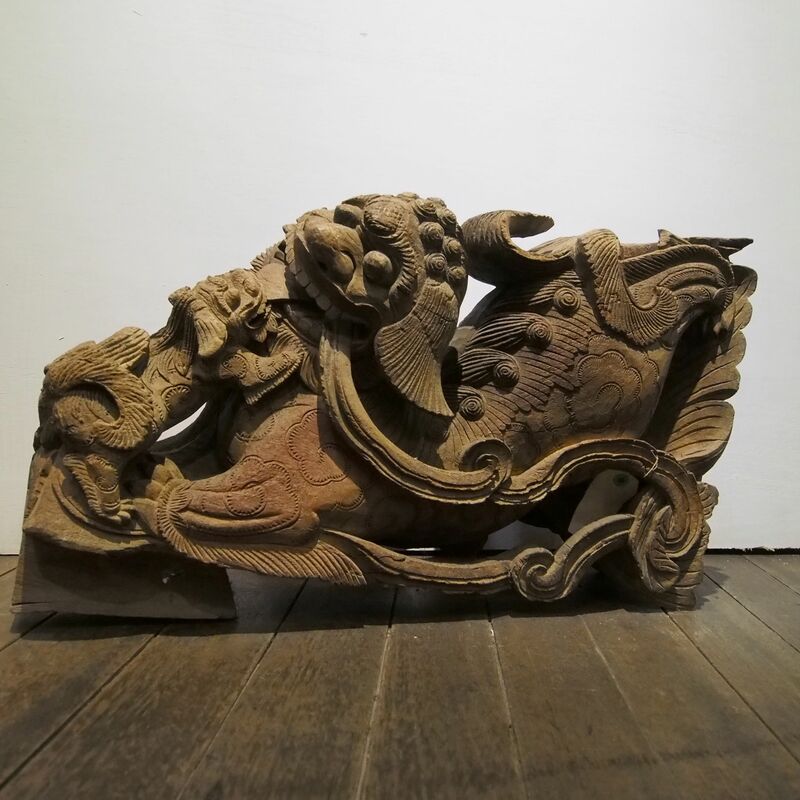 The lion being nonnative in China was a mystical creature, not only is it the symbol of power and strength, it is also the carrier of the Manjusri Bodhisattva. Lions sculptures are often found outside buildings as the guard against evils. Here is the legend of how this supreme creature start getting addicted playing with balls; during the Southern and Northern dynasty, there is a general named Zong Que who was in a losing battle. Zong thought of a way to breaking out of the surrounding enemy, he had the soldier build a figure of the lion, put on a mask and dressed in yellow fur, from a distance the enemy thought the lion has arrived and flee, enabling Zong’s army to escape from the situation. 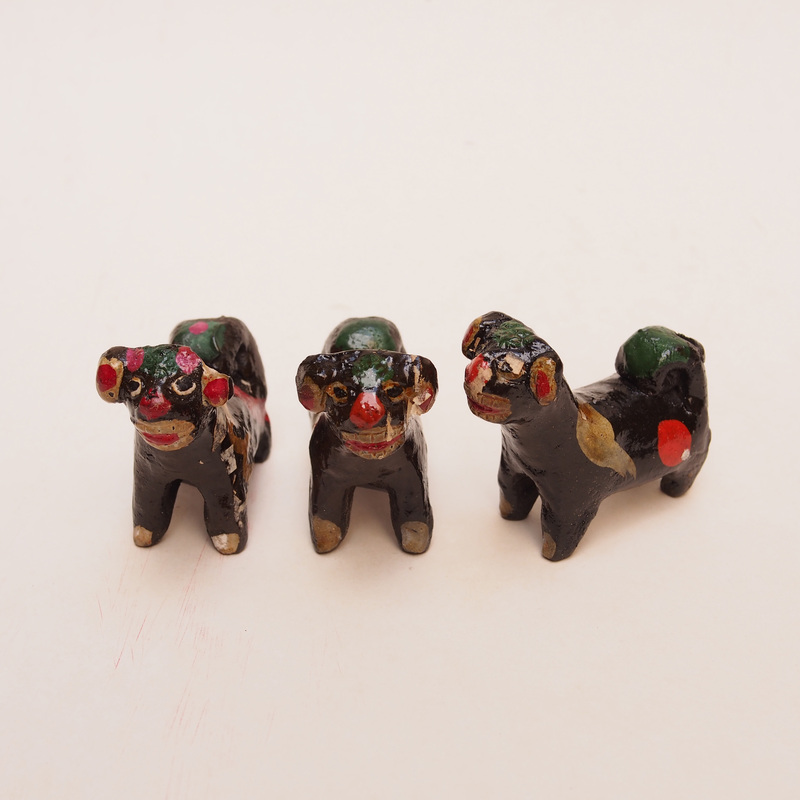 The army celebrated with the local villages and the tradition went on, to humanize the lion more movements were added as well as the xiu qiu ball. 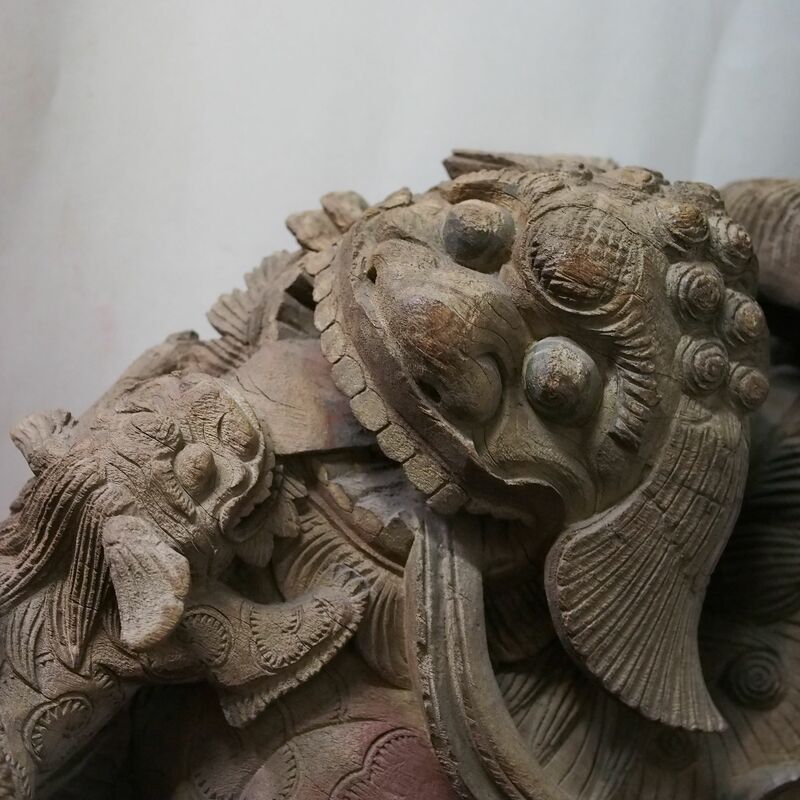 The pattern of the lion and the xiu qiu is a blessing of strength and energy. 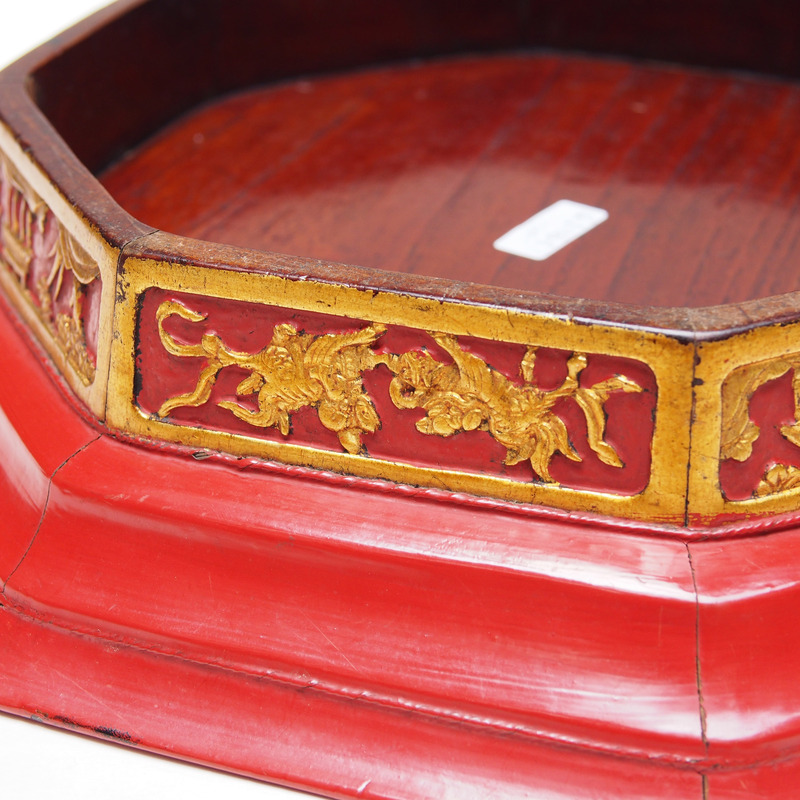 Click here to see our other items of the lion and the xiu qiu. 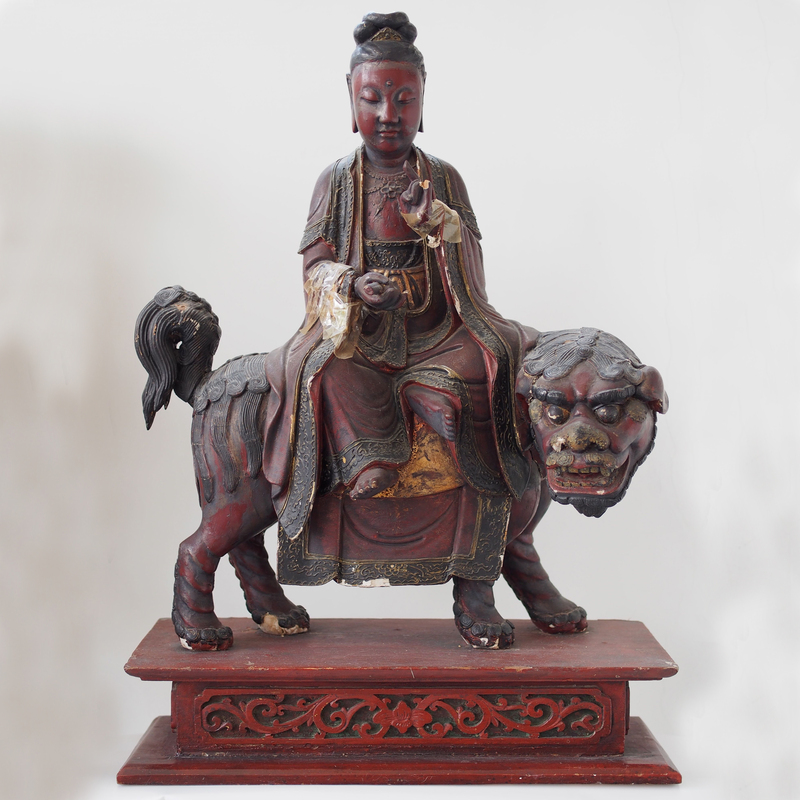 Lions, perhaps not being a native animal in China, were considered as mythical creatures, protector and even made to be carriage of Bodhisattva Manjusri. 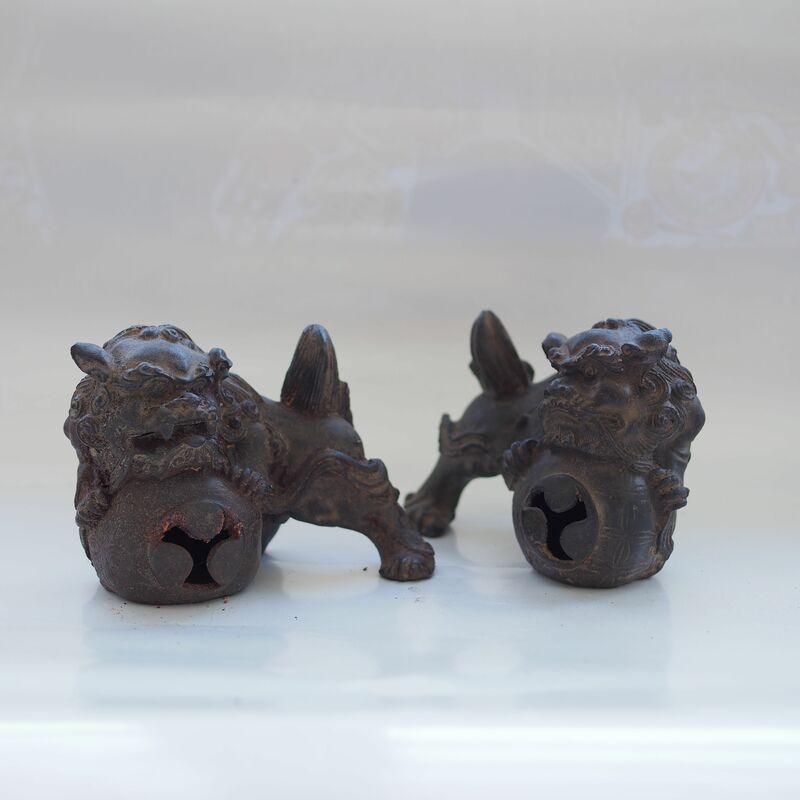 Chinese lions are often portrayed playing the xiu qiu, symbolizing harmony and joy. 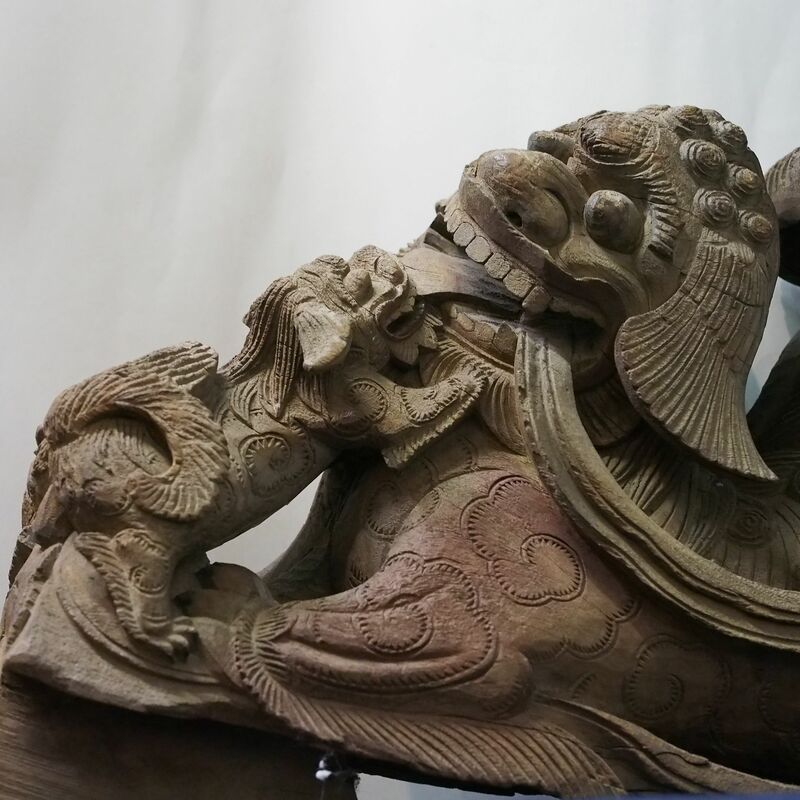 A pair or lions; the lion playing with the xiu qiu is a male and the other with the cub is a lioness. 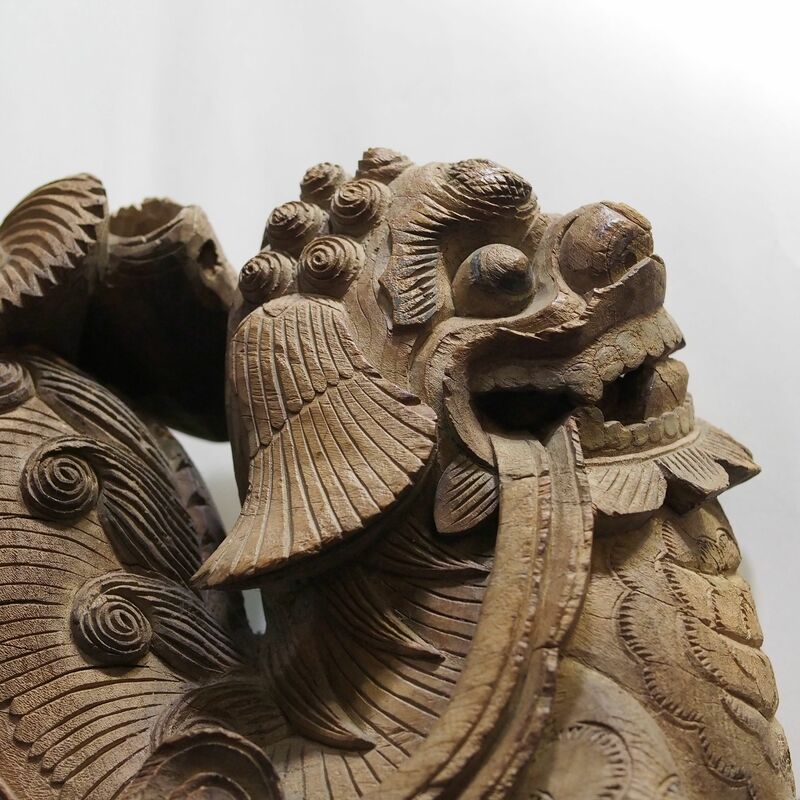 These pair of wood carving is part of an architectural element, in fact it is part of the bracket that hold up the beam in traditional Chinese architecture. 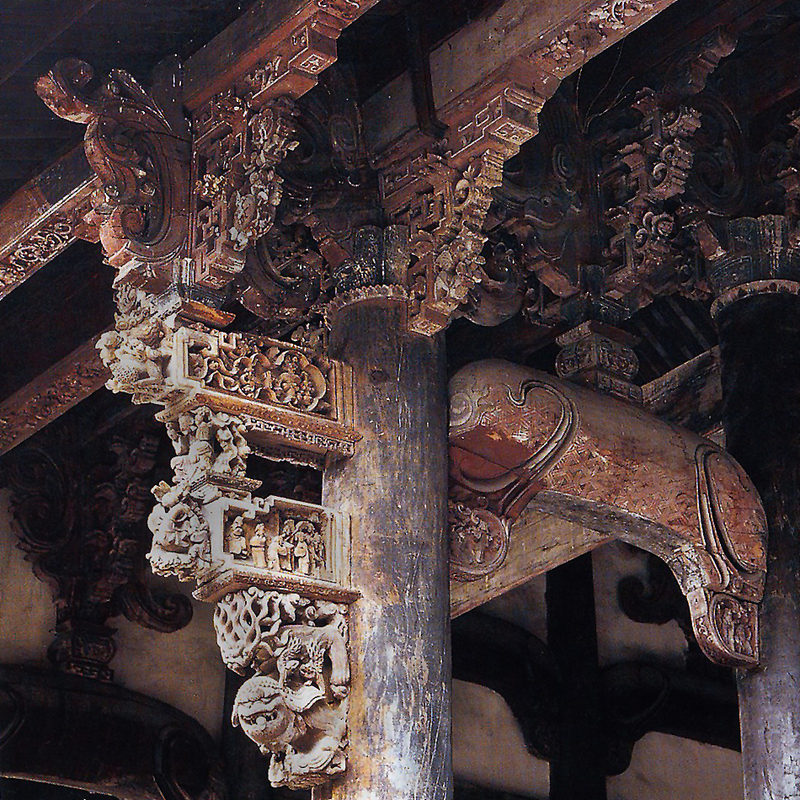 This highly decorative architectural / structural elements are found in the south, in larger building such as ancestral homes. In the building the lions would have been view with their tails on the upper part and their heads at the bottom, as in the photo below. 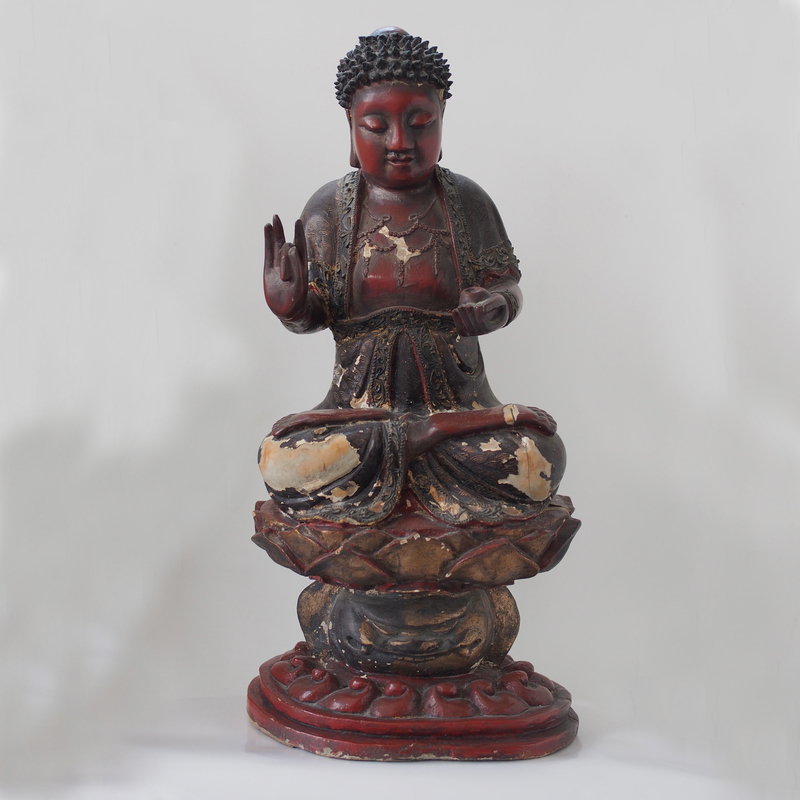 This is an old lacquer figurine of the Gautama Buddha. He is sitting on a lotus blossom which symbolizes purity of the mind and body. Though the lotus is rooted from the mud, its leaves naturally repel dirt and water, its blossom raises well above the muddy pool. Under the lotus blossom sits a lion; lions are symbolic of bodhisattvas, being that have attained enlightenment. The hand gesture of the Buddha indicating the banishing of evils (karana) and the gesture of leisure (avakasha). At the back of the figurine is a secret compartment for storing scripts. 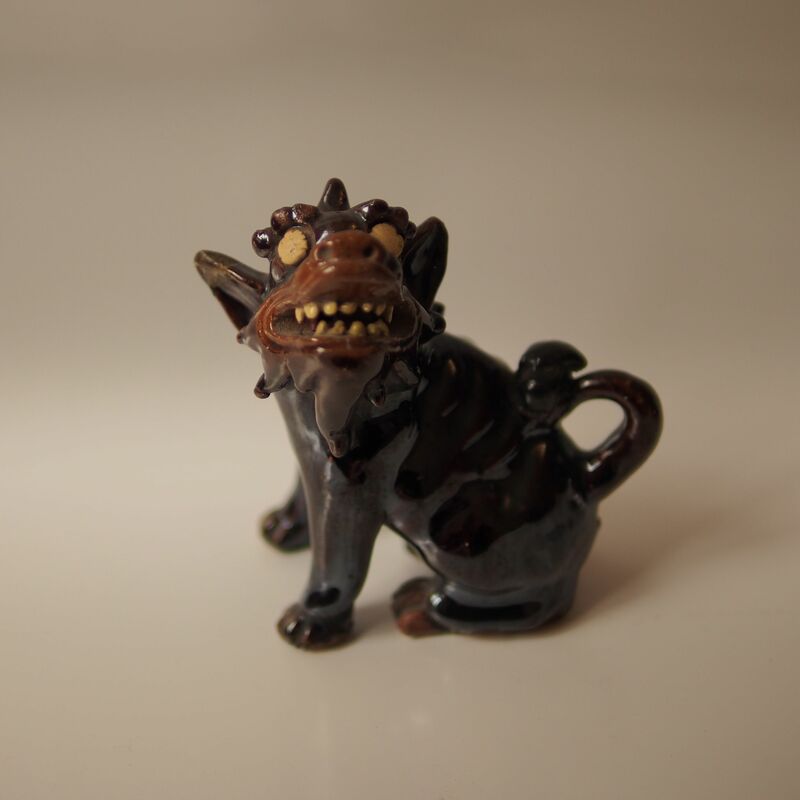 Chinese figurine of the lion are more often friendly and friendly rather then fierce, this might be because there are no lions originated from China. 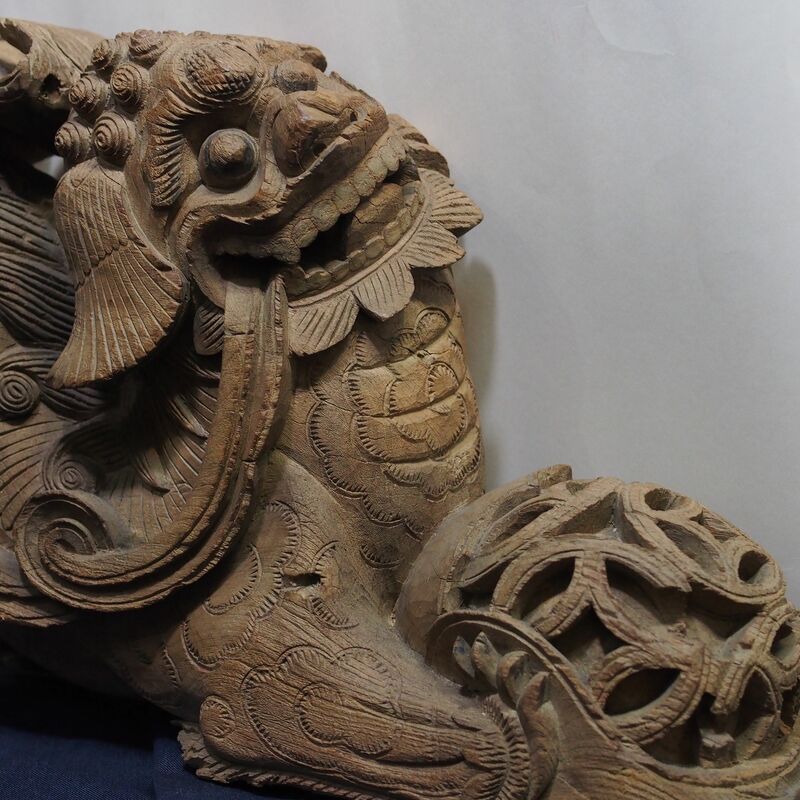 The image of lion was brought to China by word of mouth from traders of the Western Region, as a tribute from Persia to the Emperor and as the symbolic “suan ni” from the Buddhist culture. The worship of lion is thus mainly as a mystic protection of evil rather than the fierce forceful animal. 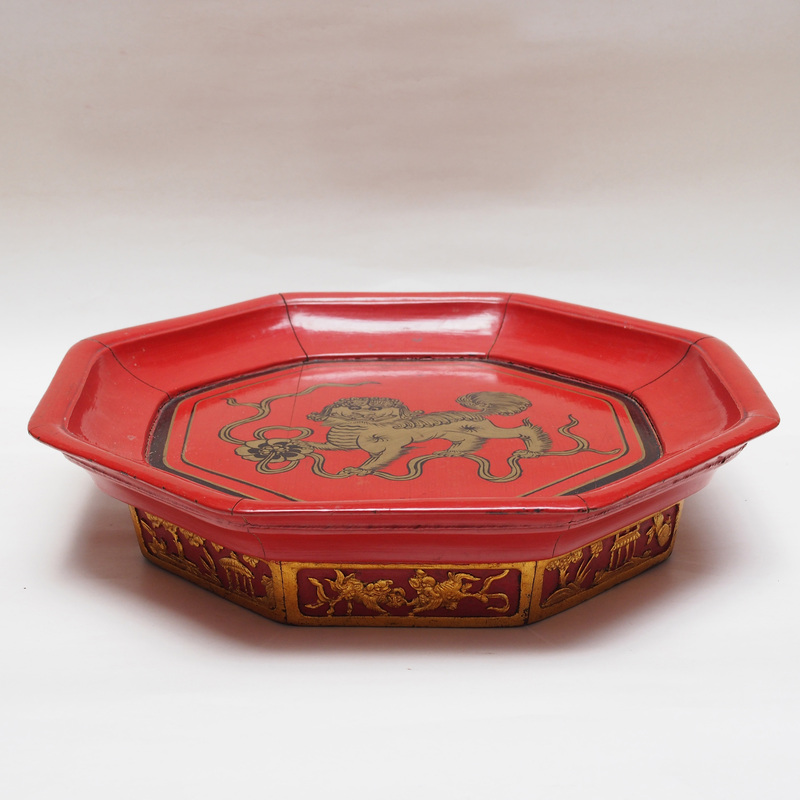 Black glaze pottery was first developed in China as early as the Jin dynasty (400 A.D.), it was a popular glazing in the Tong and Sung dynasty and further refined in the Qing dynasty. 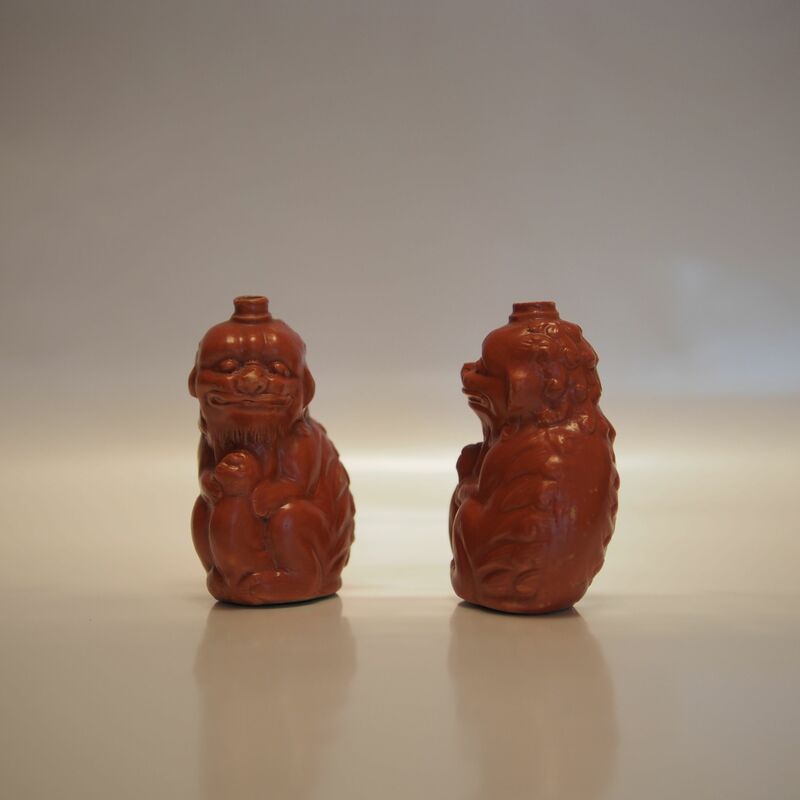 Two two lion with pup figurines are in fact bottles for medicine. 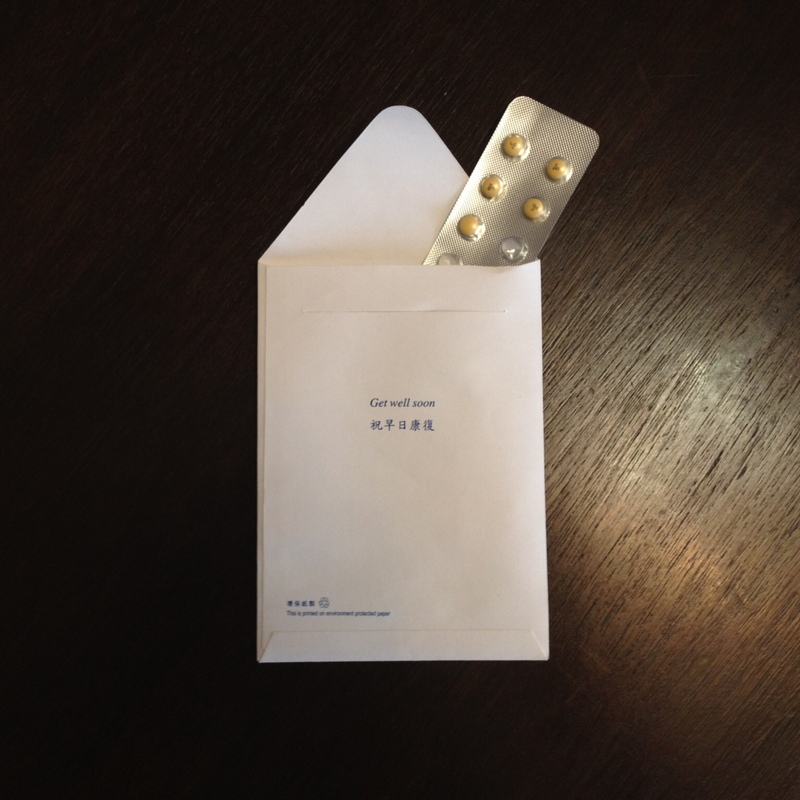 The traditional Chinese medicine apart from the bitten tea, also comes in small pills and powder form. Judging by the size of the opening they would have been used to hold medicinal powder. Personally I find the powder form to be quite nasty, they tend to stick to your throat and the unpleasant taste lingered on for ages. I suppose these sweet looking bottles will help the patients take the medicine.